In your festival adventures you may run across someone who is having a difficult psychedelic experience. It's important that we all take care of each other at festivals so don't abandon someone who may need your help. If that someone seems to be posing a danger to themselves or others, alert festival security immediately. Being a good samaritan shouldn't put you in physical danger. However, if the person is lost and confused there are ways you can support him or her and keep them safe. Consider assisting them in getting to the medical tent. If you're concerned you may get in trouble check out this helpful response from our column Ask The Festival Lawyer. 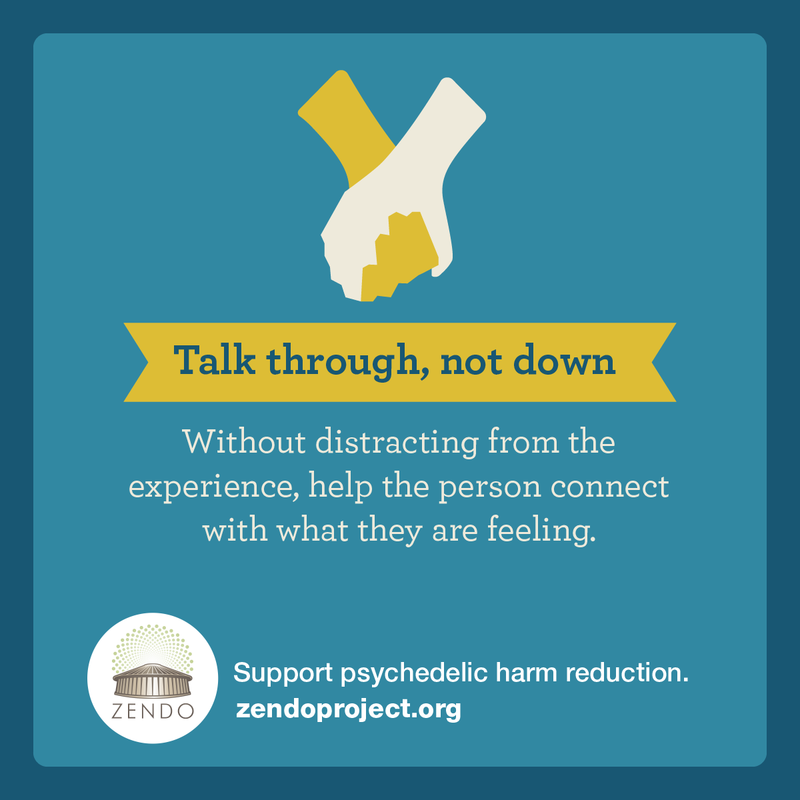 There are trained professionals who can help and will do so in a supportive, nonjudgemental manner. 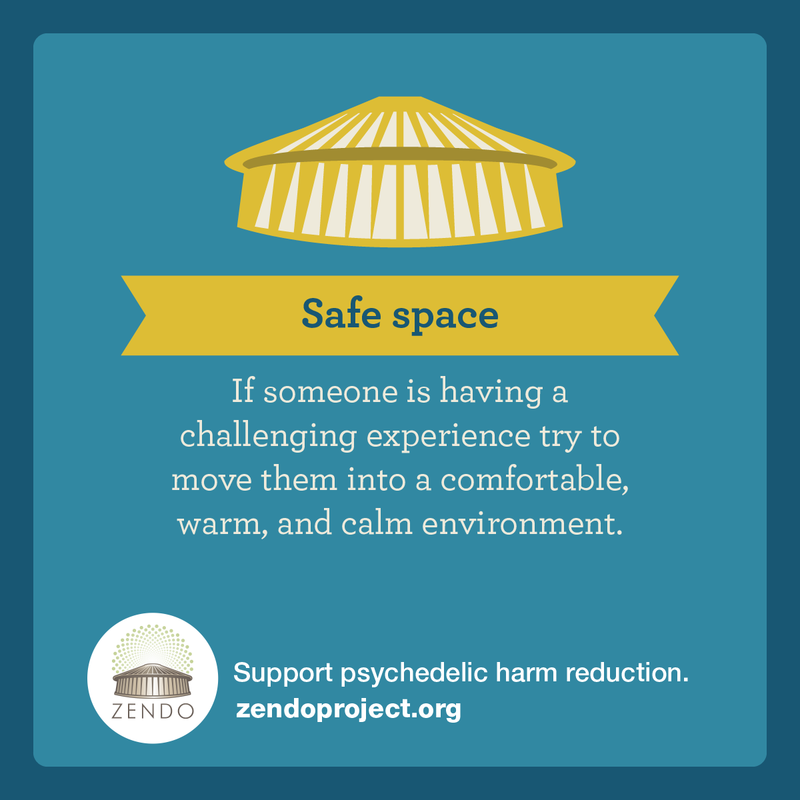 Some festivals have designated safe spaces for people in such a condition. 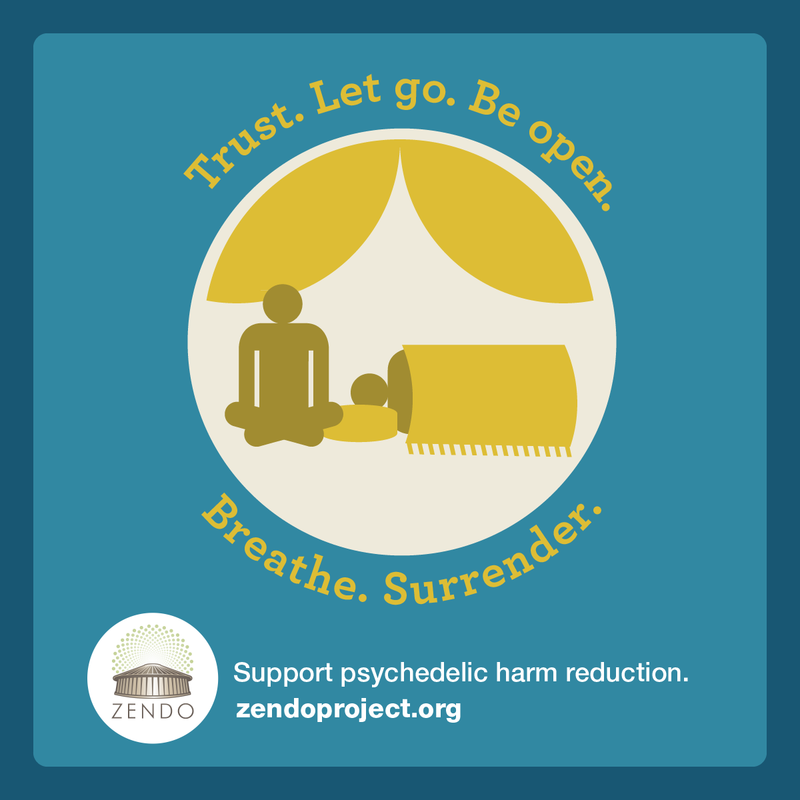 The Zendo Project , a group based in Santa Cruz, California, provides such a space at festivals and has compiled Four Pillars of Psychedelic Support to utilize if no other help is available. 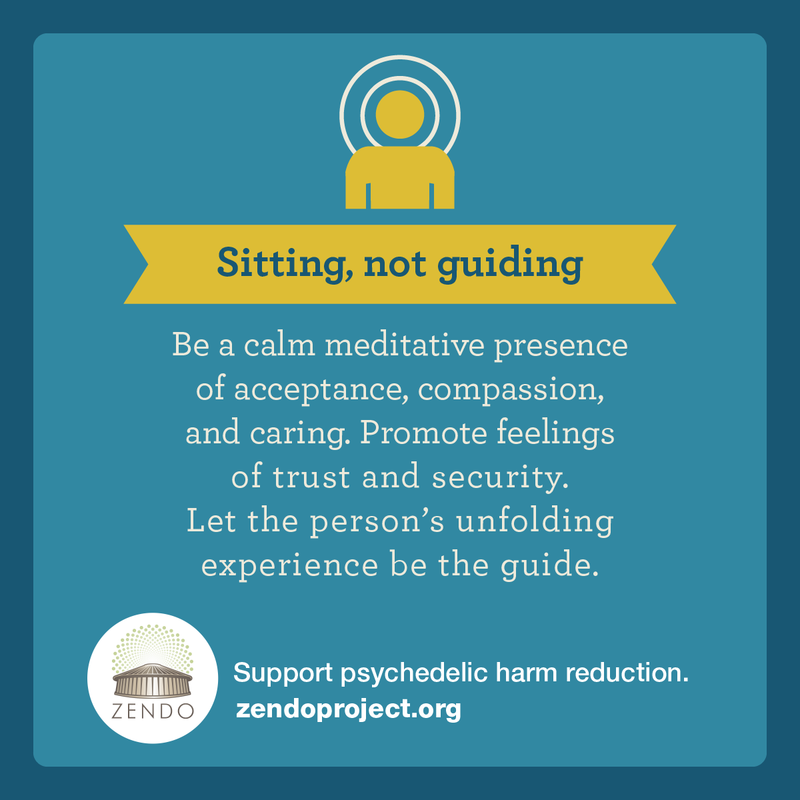 The following description of Zendo's Four Pillars is an excerpt from my own experience working with the Zendo project in Costa Rica at Envision Festival. 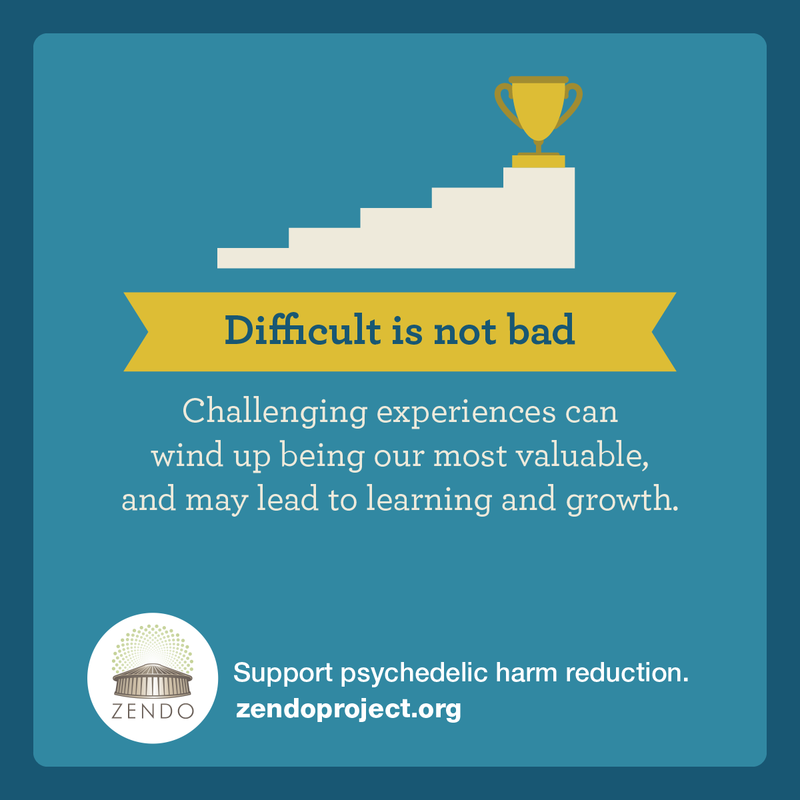 For a more complete explanation of how to support individuals who are experiencing an intense psychedelic experience, including important ethical concerns, check out the newly compiled Manual of Psychedelic Support. This incredible resource was the result of a collaboration between researchers, artists, psychiatrists, therapists, psychonauts, and festival producers and is freely available under a Creative Commons license.